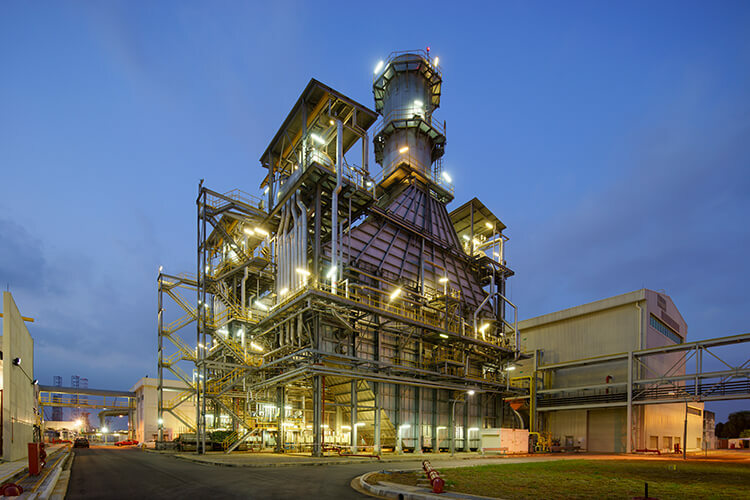 The Keppel Merlimau Cogen (KMC) Plant is the first independent power project to enter the Singapore electricity market since the National Electricity Market of Singapore was implemented in January 2003. Located on Jurong Island, the 1,300 MW combined cycle gas turbine generation facility has been operational since 2007 with a good track record of efficiency and reliability. Connected to Singapore’s electricity transmission network, the plant is well-positioned to support the surrounding industries in their electricity, steam supply and demineralised water requirements. The plant was constructed in two phases. Phase 1 has a generation capacity of 500 MW, and commenced commercial operation in April 2007. The plant completed Phase 2 expansion of another two power trains of 400 MW each, in March and July 2013 respectively.